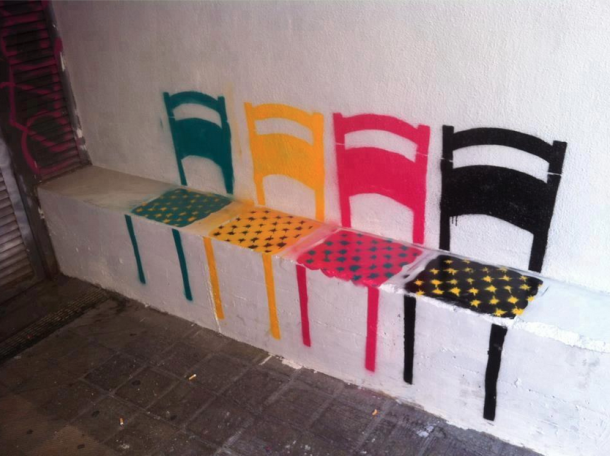 LE BLOG MADEMOISELLE: Street Art in unexpected places ! Street Art in unexpected places ! I love to discover a cool idea and I love street Art! Great way to decorate a boring white wall and make a seating area !